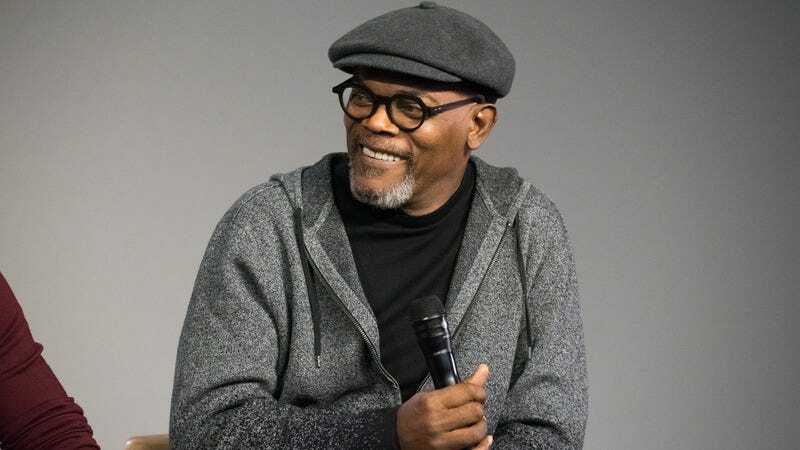 Today, in an interview New York’s Hot 97 radio station (via Vulture), Samuel L. Jackson noted that he thinks Jordan Peele’s Get Out should’ve starred an African-American actor instead of British actor Daniel Kaluuya. He said that there are a lot of “black British actors in these movies,” and he wonders “what Get Out would have been with an American brother who really feels that.” The movie, for those who don’t know, is about a black man visiting the family of his white girlfriend, and though it eventually takes a supernatural turn, it’s largely about the way racism permeates our society—primarily in America. Jackson says Kaluuya “grew up in a country where they’ve been interracial dating for a hundred years,” so he argues that putt a black American in the role could’ve made the story a bit more meaningful or impactful. In a separate Vulture post, though, Kaluuya himself dismissed that argument, suggesting that the film’s message is more universal. Interestingly, Peele mentioned in a Guardian interview that he “didn’t want to go with a British actor” at first, because the movie “is so much about the representation of the African-American experience.” After speaking with Kaluuya about the movie’s themes, though, he agreed that the experience really is more universal than he thought, so he gave Kaluuya the role.